Internet Governance Forum (IGF) | Internet Society: "The United Nations created the Internet Governance Forum (IGF) to continue the work of the World Summit on the Information Society (WSIS). The IGF has brought together people from government, private sector, technical community and civil society to discuss Internet governance issues at a series of annual meetings since 2006." Update: Enhancing ICANN Accountability and Governance Town Hall Meeting to take place at Internet Governance Forum in Istanbul - ICANN: "ICANN staff invites all interested stakeholders to a Town Hall Meeting to discuss the Enhancing ICANNAccountability and Governance Process during the Internet Governance Forum (IGF) in Istanbul, Turkey. The Town Hall Meeting will provide an opportunity for an open dialogue to address and clarify any remaining questions about the Enhancing ICANN Accountability and Governance Process." Truly open meetings really make a difference. What was positive about #WEF #NETMundial meeting is that everything was discussed in the open. In addition, the video stream quality was excellent for all sessions. A handout at the meeting: The NETmundial Initiative Action Dialogues Overview (pdf); other information can be found here and here. Reminder: Next Meeting of ICG to follow IGF in Istanbul next week: "The next face-to-face meeting of the IANA Stewardship Transition Coordination Group (ICG) will take place next Saturday, September 6, 2014, following next week's Ninth Annual IGF Meeting in Istanbul, Turkey. Similar to the London Meeting, the community will be able to follow the ICG's second meeting through a Virtual Meeting Room ...."
On Thursday, August 28, 12 noon to 1:30 ET (US), Katten Muchin Rosenman LLP (kattenlaw.com) is presenting a free webinar addressing ICANN topics including the state of the new gTLD program, a recap of ICANN 50 London and a preview of ICANN 51 Los Angeles, an update on WHOIS reform, ICANN accountability and next steps for the transition of IANA functions oversight. Jennifer Standiford (Director of Policy, Web.com Group Inc.). 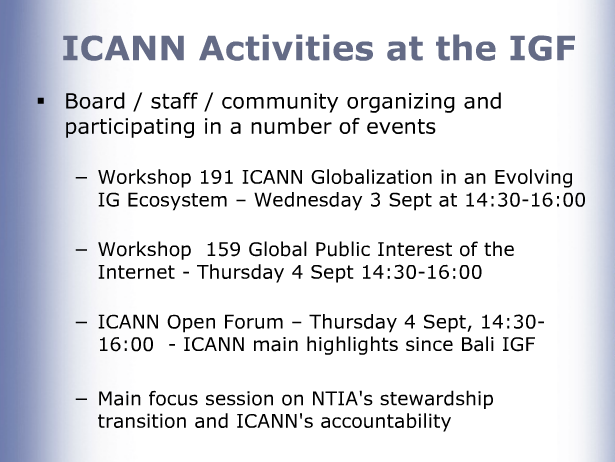 ICG Announces Third Conference Call - ICANN: The IANA Stewardship Transition Coordination Group (ICG) will hold its third conference call on Tuesday, 26 August 2014, from 12:00-13:00 UTC; 8am EDT (US), time zone conversions here. "The community is welcome to attend by way of a listen-only mode Virtual Meeting Room through which audio of the call will be streamed. Translations will be available through relevant Adigo Bridge dial-in numbers and Conference ID codes." Country dial-in numbers can be found here. More information about the Conference Call at the first link above. What is the purpose of the Enhancing ICANN Accountability Process? What is the structure of this process? What is the role of the advisors? Where do I find information on this process? How can I participate in the Cross Community Group? Do I have to be affiliated with an ICANN Supporting Organization or Advisory Committee (SO/AC) to participate in the Cross Community Group? What if my SO/AC/SG wants to make a group submission? Is there a limit to membership in the Cross Community Group? Is there a date by which I need to submit my name? How can I participate in the Coordination Group? How strong is the community participation on the Coordination Group? What are the areas of expertise that should be considered as identifying SO/AC and SG selection of stakeholder expert members to the Coordination Group? How will the Cross Community Group appoint representatives to the Coordination Group? What is the role of the SOs and ACs in selecting representatives to the Coordination Group? Does this process change the traditional role of the SOs and ACs? What are the expected working methods for these groups? Who develops the charters for the Cross Community Group and the Coordination Group? Will the Coordination Group make decisions by vote? What is the Board process concerning adoption of recommendations made by the Coordination Group? Will travel support be provided for face-to-face meetings? What are the key dates for the process so far? Ongoing: Stakeholders submit names for membership to the Cross Community Group. 15 September: Cross Community Group comes together for first meeting. 12-16 October: Coordination Group comes together for its first meeting at ICANN 51; Cross Community Group convenes (as available) for first face-to-face meeting (specific dates to be selected for each). According to the WEF website, the "Initiative is being catalysed by the World Economic Forum in partnership with ICANN and a number of governments and non-state actors." The Initiative’s activities will begin with an initial series of dialogues in certain regions in 2014 and a global multistakeholder summit on Internet governance and cooperation during the Annual Meeting of the World Economic Forum in Davos-Klosters in January 2015. In addition, over the next six months a series of consultations with multiple stakeholders will be organized to inform and help shape the Initiative’s activities and ultimate organizational structure. These "open and inclusive discussions" will take place online and at Forum and other events around the world through the remainder of 2014. The Forum and its partners will work as a multistakeholder coalition to help guide and support the Initiative, supported by an interim steering committee during the initial phase of activities and consultations. "The webinar will provide a brief overview of the ICANN related sessions at the IGF in Istanbul from 1-5 September, and will provide an opportunity for members of the community and staff to discuss collaboration opportunities." Update: The IANA Functions Infographic - ICANN: ICANN released a new IANA Functions Infographic (above) which explains how the core IANA functions allow users to access the Internet. According to ICANN the revised infographic incorporates feedback from the community. 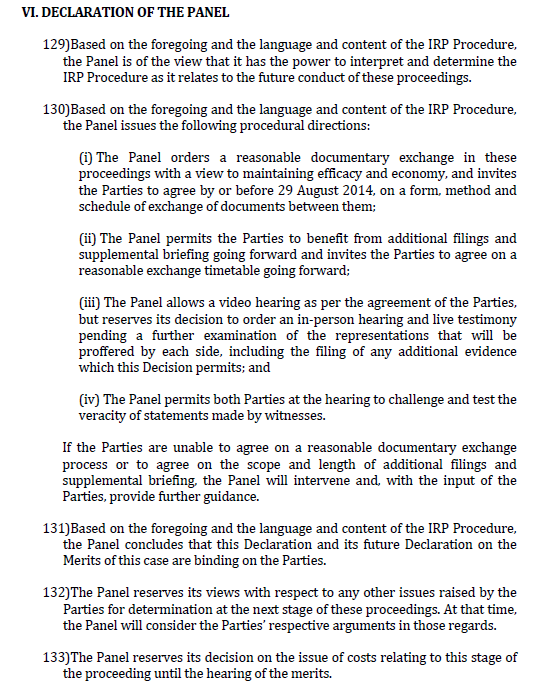 The Independent Review Panel in the Dot Connect Africa case (see below) has issued a 33-page "Declaration on the IRP Procedure" (pdf) that should be required reading for every member of the ICANN Board of Directors, as well as every participant in the ongoing enhancing accountability and IANA transition processes. If nothing else, the Panel has shown it has read, understands, and takes seriously ICANN's articles of incorporation and by-laws, as well as appicable law. Beginning at page 8, the Panel reviews and reiterates the "Mission and Core Values" of ICANN, as well as ICANN's accountability to the "global internet community" noting, inter alia, that "ICANN is not an ordinary California non-profit organization. Rather, ICANN has a large international purpose and responsibility..."
"32) In carrying out its mission, ICANN must be accountable to the global internet community for operating in a manner that is consistent with its Bylaws, and with due regard for its core values." ICG Announces Second Conference Call - ICANN: The IANA Stewardship Transition Coordination Group (ICG) will hold its next conference call on 19 August 2014, 12:00-14:00 UTC - 8AM-10AM EDT (US). For time zone conversions, please see here. The community is welcome to attend by way of a listen-only mode Virtual Meeting Room through which audio of the call will be streamed. In addition, translations into the 5 UN languages plus Portuguese will be available through relevant Adigo Bridge dial-in numbers and Conference ID codes. Papua New Guinea experienced the largest growth in Internet users, at 85.7%, from 3.5% penetration in 2012 to 6.5% in 2013"
VC funding in the second quarter included dropbox.com, uber.com, lyft.com, pinterest.com, postmates.com, instacart.com, and many other dot COMs you have not heard of--yet. 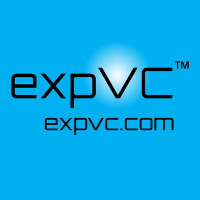 Game on--so get your dot COM domain name, get your VC funding--you're on your way! The New Dot Com Business Boom, It REALLY Is Different This Time: Valuations based on real revenues--BoomBustRT's Erin Ade talks to StockTwits.com co-founder Howard Lindzon about what’s going on in the Dot Com business boom and technology space right now, including pre-IPO companies; priceline.com, booking.com, uber.com, airbnb.com, facebook.com, twitter.com -- Mobile, Social, Local, Global, Business Models, Brands, 100-year companies. So where is Groupon today? Groupon disappoints on weak Q2 revenue of $751.6M, investors quickly send it packing | VentureBeat | Business: "Before the bell, Groupon stock was slightly up by less than one percent. In after hours trading, the company is down a whopping 17 percent." Total market cap today? Only $4.82 billion--about a billion dollars less than what Google would have paid in 2010! Legendary investor Warren Buffett, Berkshire Hathaway Inc., and related entities, have disclosed in an SEC filing that they now control 12,985,000 shares of common stock of VeriSign, being 10.4% of all outstanding shares of the domain name registry for .COM and .NET. As of March 31, 2013, it was 8.174 million shares. As of December 31, 2013, it was 10.96 million shares. As of March 31, 2014, it was 11,685,654 shares. Obviously the purchase of additional shares in July is a vote of confidence in VeriSign and its management--Buffett is known to add shares to his holdings when he thinks a stock is undervalued. Apparently Warren Buffett does not consider the new gTLDs much of a threat to VeriSign's .COM business either! According to 247wallst.com, VeriSign's total market value is $6.7 billion which puts the Warren Buffett/Berkshire Hathaway 10.4% stake worth almost $700 million. Berkshire Hathaway’s total market value is now more than $300 billion, its public equity holdings are in excess of $100 billion, and as of June 30, it was holding $55.5 billion in cash. 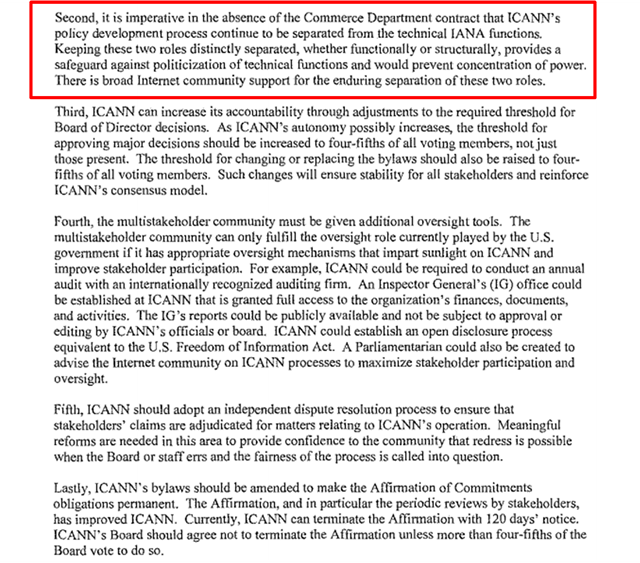 Full Letter (pdf) -- In a letter dated July 31, 2014, to the Chairman of the ICANN Board of Directors, Dr. Stephen Crocker, US Senators John Thune and Marco Rubio, of the US Senate Committee on Commerce, Science and Transportation, commented, with specific recommendations, on the the IANA transition and ICANN accountability. One other memorable note from the conference call: Web.com/Network Solutions said it doesn't view the Google Registrar business (now in beta) as a "competitive threat." OK. Anyone remember AltaVista? For more on how Wall Street views the Google "competitive threat" to Web.com and Network Solutions, read: Web.com - Google's Announcement Triggers An Unavoidable Sell-Off - Web.com Group, Inc (NASDAQ:WWWW) | Seeking Alpha.